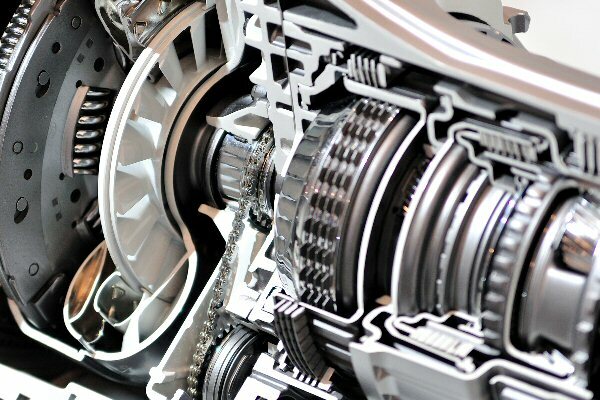 Your vehicle’s transmission is the powertrain that converts your engine’s force into a controlled source of power. It basically transfers the power your engine produces to the wheels. The vehicle’s transmission allows for better control of the speed for the driver, the transmission is the mediator for your engine and wheels. If your vehicle is responding slowly when you accelerate then that is a good sign your transmission may have issues. Clunking sounds when the car is shifting gears, leaking transmission fluid beneath the car (automatic transmission fluid is bright red in color), grinding or shaking when the car is going through the gears, burning smell produced by the overheating fluid, refusal to go into gear, check engine light, transmission makes noise in neutral, gears slip when driving causing the engine to rev up and the car is hard to get out of gear or won’t go into gear are all signs your transmission may have issues. As with any other part of your car proper regular maintenance will help your transmission last longer. Many times major expensive repairs can be avoided if the vehicle is properly maintained. If you notice any of the systems above it is very important to bring your vehicle in right away, transmissions can be an expensive repair so taking care of the issue earlier is much better. Our certified technicians can evaluate the precise issue you are having with your vehicle and we can let you know what needs to be repaired, we can list out the repairs in order of what needs to be repaired right away to the issues that are not as urgent. At Arden High Tech, we have over 40 years of experience in the automotive industry. We are diagnostic experts, ASE certified and a Star Certified Smog Station. We specialize in complete diagnostics, tune-ups, brakes and more! Come in to Arden High Tech Auto Center in Arden today.